The Ulster Volunteer Force: Negotiating History. Roy Garland. A Shankill Community Publication, 1997. £1.50. This is an interesting clue that Councillor Garland has not entirely rejected his own roots. Mr Garland neglected to mention in his preface that he first found a means to ‘reflect and enjoy’ his ‘Irishness’ when he was second-in-command of Tara - an evangelical Protestant paramilitary group with a strong ‘Irish emphasis’ - which took its name from the seat of the ceremonial High Kings of Ireland. Although there have been many books written about the IRA and its history very few have dealt with the history of the loyalist paramilitary groups. Steve Bruce has written two useful studies, The Red Hand and At the Edge of the Union. Ulster’s Uncertain defenders, the only other study, appeared a decade earlier in 1984. The last book on the UVF was published in 1973! 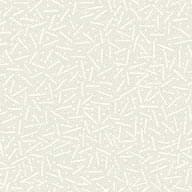 This concise booklet is an edited version of an earlier dissertation for a university degree, The UVF: Negotiating Identity. This has been serialised in Progressive View, the journal of the Progressive Unionist Party. Would-be readers can be thankful that this booklet has been heavily abridged. The unreadable purple prose and tortuous sociological jargon which marred the original has been eliminated. 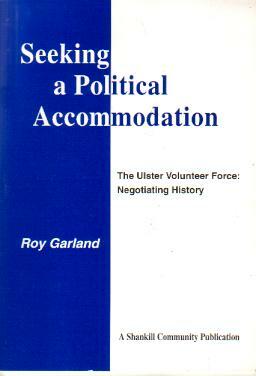 Mr Garland takes us from the foundation of the modern UVF in the mid-sixties up to 1976. A short appendix looks at the situation from 1991 to the present day. This work looks largely through the eyes of Gusty Spence, the UVF’s veteran political guru. Spence claims that the UVF was set up by rightwing elements of the Unionist Party to undermine Terence O’Neill, the Prime Minister. O’Neill banned it under the Special Powers Act after two brutal murders in May 1966. Spence and two others were convicted of these killings. Garland traces the growth of the UVF after the outbreak of the present troubles and its short-lived relationship with Tara. This broke down in a welter of mutual recriminations and bitterness after 1971. Garland observes that the Shankill UVF were working class men who - unlike Tara - did not see themselves as fighting a religious war, but as ‘serving Ulster’. He quotes Spence in support of his belief, that nevertheless, this did mean that the organisation was fighting Catholics. In their efforts to strike back at the IRA, ‘If it wasn’t possible to get at the IRA then some thought “we’ll get those who are harbouring them, succouring them, comforting them and supporting them” - a completely erroneous theory.’ This pamphlet largely ignores the UVF’s military activities and killings and concentrates on the organisation's attempts in the mid-seventies to find a political rôle for itself. The supporters of the UVF resented their portrayal in the media as a ‘privileged’ community. As Spence observed, very few working-class Protestants were politically aware, and they felt helpless in the face of constant attacks and misrepresentations in the media. Spence and others found time to reflect on all these things in prison. ‘We had seminars on everything... The men were ready, not for indoctrination, but to be set in pursuit not only of truth but of some form of political ideology.’ Similar soul-searching was taking place inside the UVF outside the prisons. In the UDA, a parallel debate led to that organisation espousing negotiated independence for Ulster as a means to transcend the religious divide and offer a common focus of allegiance for the communities. In the UVF, Garland argues that the ‘concensus seemed to favour conciliation, and a form of Democratic Socialism which retained the link with the United Kingdom.’ This is partly true, but it was also open to other more radical opinions. The first political group to speak for the UVF was the Ulster Loyalist Front in 1973. Some of the material which emanated from that source was very positive. ‘Its policies included a “return to democracy” and increased use of referenda, workers’ partnership schemes, and although in favour of private enterprise it wanted to curb “international monopoly capitalism”.’ Despite what Garland seems to think, this talk was not socialist but was common at that time in the radical Britain First wing of the National Front. Indeed, articles from NF publications were occasionally reprinted in the UVF’s journal Combat. The UVF’s first foray into politics ended in failure with a violent resumption of bombings and killings in October 1975. Garland puts this down to an apparently all-embracing conspiracy between Tara, rightwing unionist politicians, the RUC and the British security services to destroy ‘the independent and Socialist thinking of working-class Loyalists.’ There is no doubt that the UVF did come under a lot of criticism at that time but it often gave as good as it got in reply. The simple truth is more likely that loyalist voters seemed to have decided that politicians do politics and paramilitants do war. However, Ken Gibson’s statement in 1974 that ‘organisations such as the UVF will no longer allow themselves to be used by politicians who will not listen to their views’ set out an attitude that has remained constant in the UVF and UFF ever since. There can be no doubt that traditional unionism is a dead doctrine and it needs to be swept aside if our Ulster homeland is to survive, let alone thrive. In this, Garland, Spence and the ‘new thinkers’ in the UVF of the mid-seventies were spot-on. It is a shame that they chose the blind alley of socialism. Socialism promises much but delivers equality of impoverishment to all except the party oligarchy. The New Ulster Political Research Group were much nearer the mark in 1979 when they advocated an independent Ulster with social justice for all. Spence is right. Ulsterfolk do need to be guided by some form of political ideology. That ideology ought not to be socialism - which is just as much a reactionary dead-end as traditional unionism - but radical Ulster-nationalism. Mr Garland, who is a liberal-leftist member of the UUP, will probably never admit this, but perhaps some of the people he has written about will. That said, buy this book. It’s well worth £1.50. Copies are available from Clancy’s Bookshop, The Haymarket, 16 Gresham Street, Belfast BT1 1JN.